How can you improve your writing? 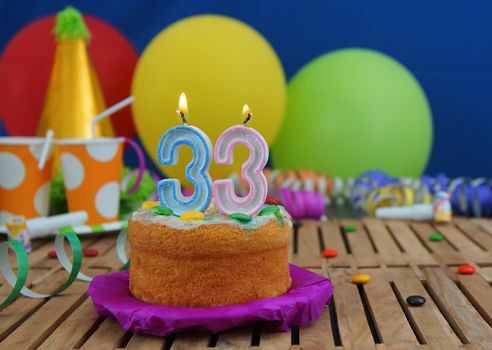 Here are 33 lessons I’ve learned over the past 33 years…. I accepted a job as a senior editor at a metropolitan daily newspaper some 33 years ago. Little did the company understand I knew almost nothing about writing when I took the job. Thank goodness for them (and me) I was a born editor, and I was able to acquit myself without too much embarrassment for the 10 years I worked in the place. Now, after several decades as a freelance writer, editor and writing coach, I have learned so many more lessons about writing, I thought I should summarize them for you. Here they are, presented in the form of one lesson for each year. Whether the assignment is an essay, an article or a book, get started on the day you receive it. There is no point procrastinating or delaying — and there is a considerable advantage in creating some momentum for yourself. Also, the sooner you start, the less work you’ll have to do every day, because you will be spreading it out over a greater stretch of time. If it seems too daunting, tell yourself that you need spend no more than five minutes on it. No job is as horrible or as impossible as it seems when you’re only thinking about it. But don’t start writing too soon. When you begin, focus on planning and researching. You shouldn’t start writing until you know the points you want to make. Some writers — perhaps alarmed by their own deadlines — begin writing far too quickly. It’s as if they imagine they haven’t started the job until they have words on the page. This is almost always wrongheaded, and is a terrific way to convince yourself that you have a case of writer’s block. Understand that writing is a series of steps, not just one humongous task. In my book, 8½ Steps to Writing Faster, Better, I summarize them as follows: planning, researching, thinking, finding a lede, writing, incubating, revising, copy editing, reading. Develop a reliable process for organizing your research. I failed to do this for the book I am working on now (working title: Your Crappy First Draft) and I am currently paying a very steep price. I’m having to re-do work that I did once before. Evernote is my new best friend. How I wish I’d been more organized, earlier. Do a mindmap rather than an outline. I know your grade 10 social studies teacher told you that you always needed to prepare an outline. He or she was wrong. Mindmapping will do you far more good. Do at least one mind map before you write, every time. Go for a walk before you write. Two reasons for this piece of advice: (1) sitting at a computer typing, is hard on our bodies. Walking beforehand will help prevent some pain. (2) We are all more creative when we are moving. You’ll have better ideas if you go for a walk first. Don’t ever wait for inspiration. Amateurs want inspiration. Professionals know they need perspiration. Understand that stories, anecdotes and examples are the secret to “sticky” writing. When you collect your research, look actively for this kind of material and highlight it in your work. Your readers will appreciate it. Monitor your negative self-chatter. We all say terrible things to ourselves when we are writing. Don’t ignore this chatter, but don’t let it derail you, either. Respectfully, tell yourself that this chatter will be more useful to you when you’re editing. Turn off email and your phone. Don’t allow yourself to be distracted or disturbed when you’re writing. Set your email on “collect manually” and silence the ringer on your phone. Celebrate your crappy first draft. Many people I work with feel apologetic about their first draft; I always say to them, “the crappier the better.” This is because a really crappy first draft means you’ve written it quickly and that will leave you more time for editing, which is where the real improvement will occur. Don’t let yourself edit while you write. There is a time and place for everything and writing is not the time for editing. To speed your writing by 50% or more, consult my suggestions for breaking this awfully destructive habit. Understand that some people are ‘born editors’ while others are ‘natural writers,’ but so what? Some people are born tall; others are born short. There’s not much you can do about it. Just accept your gifts, deal with your deficiencies and move on. Write as quickly as possible without worrying about the quality of your words. The real work is in the editing, in any case. Identify your own “prime time” for writing. Some of us are morning larks, others are night owls. I’m not suggesting you try to change. Simply identify the time at which you are most productive and schedule your writing for this window. Know that six-hour writing sessions don’t usually make sense, so don’t plan on them. What I call “binge writing” is almost never a good idea. Particularly not when a slow and steady approach almost always wins the race. Try dictation instead of writing by hand. If writing just seems too daunting, see if dictating your words might make the work easier. I use Dragon Dictate for about 25 percent of my work (and I used it for this column). I also believe the reliability of the dictate function in MS Word has improved enough to make it feasible now. Accept that your writing will never be perfect. Writing can always be improved. Let go of the concept of perfection and embrace the idea of better productivity. Let your draft incubate before editing. Don’t ever try to edit as soon as you’ve finished writing. Instead, allow at least a day (six weeks, if you’re working on a book) for your words to sit undisturbed on your hard drive. If a full day isn’t possible, take an hour and do something highly distracting during this break to get your mind off your words. Incubation makes editing far easier. Understand that editing should take twice as long as writing. This is because editing takes more thought and concentration and it is what will allow you to improve your work. Aim for a readability level of grade 7 to 9. Reading is a voluntary act and people are doing less of it than they used to. By aiming for a relatively low readability level, you will be making reading easier for your audience. This doesn’t mean that you (or they) are stupid or ill-educated. Take advantage of free apps. I like using the online-utility.org and the Hemingway app to improve my editing. Both will also tell you the grade level you’ve achieved. Know that the best average length for a sentence is 14 to 18 words. I am not saying that every sentence should be this length. Far from it! Some far longer ones are a good idea and they should be balanced by some far shorter ones, in the range of one to five words. Use a multiple pass system for editing. Instead of editing once, for everything, I advise passing through your draft many times, looking for and repairing specific problems. For example, you might edit once for “wordiness” and another time for “pronouns” (are all your antecedents clear?) and yet another time for clichés. I know this sounds time-consuming but you’ll actually save time by taking this targeted approach. Understand that transitions make a story easier to read. Many beginning writers fail to use enough transitions (also known as “bridges” or “connectors”) in their writing. You can do this with intriguing statements, paraphrased quotes, questions and a long list of single terms. Improve your writing by reducing the verb “to be.” Writing is almost never made better by adjectives and adverbs. Instead, it’s improved by interesting and compelling verbs. If you want to improve your writing dramatically, work to reduce or eliminate the verb to be. Consider outlining after you’ve FINISHED writing. While I don’t suggest outlining before writing, it can be helpful once you’re done. Preparing an outline will allow you to summarize and condense what you’ve said. It’s a great way of identifying (and then reducing) any repetition and it can also help you determine whether you’ve presented everything in the best possible order. Safeguard your sleep. Don’t let anyone tell you that you should wake up earlier to write. We all need our sleep and most of us are hardwired to perform better at certain ends of the day. If you are a night owl, you will never be comfortable waking at 5 am. It’s not worth the bother. Know that you will write as you read. I work with many academics and when they lapse into passive voice or write in a dry, wordy fashion I know for sure they’ve been reading too many academic journals. Ditto for engineers and most other scientists. If you want to be a better writer you must become a better reader. Read novels! Read great magazines. Read material you would be happy to emulate. Copying the work of other writers — word for word — can help improve your own writing. When you find a good piece of writing, take the time to copy it, word for word. Then reread it. This practice — I call it being a copycat — will help you absorb the style and syntax of other great writers. Understand that 10,000 hours — alone — will not turn you into a great writer. Author Malcolm Gladwell did the world a disservice when he suggested that 10,000 hours of work was all you needed to become an expert at something. Sheer time is never enough. If you want to improve, you need deliberate practice. Have a positive attitude. We think that writing well will make us happy, but, instead, the opposite is true: when we are happier, we become better writers. Keep your attitude cheerful and watch your writing improve. Be self-compassionate. Writing isn’t as hard as moving bricks, but it isn’t easy, either. Forgive yourself for the mistakes you make and understand that you can always do more, better, another day. My video podcast last week aimed to help viewers understand how to write a bio. See it here and consider subscribing. If you have a question about writing you’d like me to address, be sure to send it to me by email, twitter or Skype and I’ll try to answer it in the podcast. What are the most useful writing lessons you’ve picked up? We can all learn from each other so, please, share your thoughts with my readers and me in the “comments” section below. Anyone who comments on today’s post (or any others) by April 30/17, will be put in a draw for a copy of Your Writing Coach by Jurgen Wolff. Please, scroll down to the comments, directly underneath the “related posts” links, below. Note that you don’t have to join the commenting software to post. See here to learn how to post as a guest.